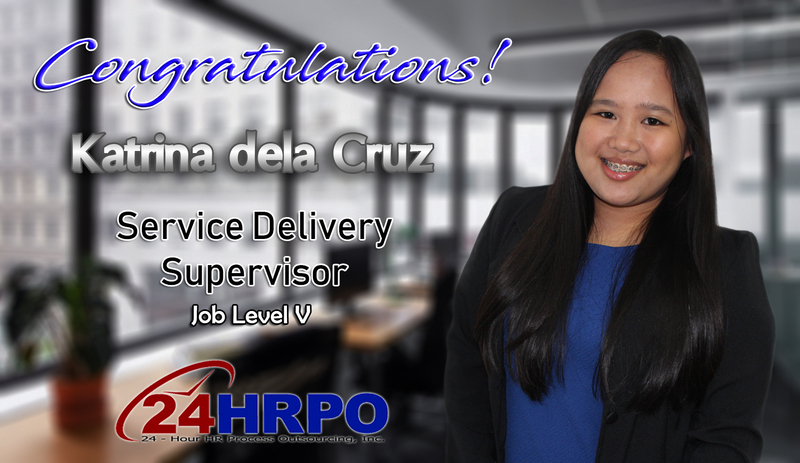 24HRPO is glad to announce the promotion of Katrina dela Cruz to Service Delivery Supervisor. Kat joined the company in 2014 together with another top recruiter, Celine. She has started her career with 24HRPO as a recruiter for the same team that she will be leading. As a Service Delivery Supervisor, Kat will be responsible for managing a team of 10 composed of recruiters and VMS coordinators working on both IT and non-IT requisitions. Let’s all congratulate Kat on her promotion!